Kadima is the JEC’s Wednesday Hebrew program for our learners interested in becoming a bar/bat mitzvah. Kadima meets Wednesdays from 4:30-6:30 P.M. A healthy snack will be provided but we will not be serving dinner. 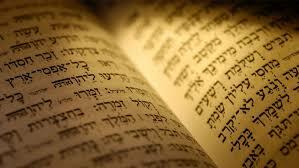 In order for our learners to be prepared for their bar/bat mitzvah, they must be proficient in Hebrew. Our 2-hour Wednesday Kadima program works with students both as a group based on Hebrew ability and individually to help them achieve this goal.